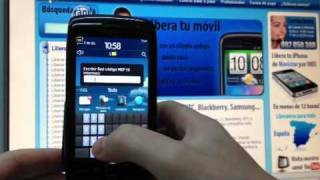 Why do Blackberry 9860 Torch sim unlock? If you want to unlock the Blackberry 9860 Torch with the MEP code by IMEI, we can do this no problem; all Blackberry mobiles are unlocked by code. After introducing the code the mobile will be unlocked, without losing its warranty or any data. These unlock codes are calculated in minutes, and you will instantly have your phone unlocked forever!